Turkish food is delicious and there is plenty of variety, from the quick snacks of Gozleme (pancakes with different fillings) Turkish pizzas and kebabs to the more traditional fare of stews and mezzes, vegetarian will never get bored! 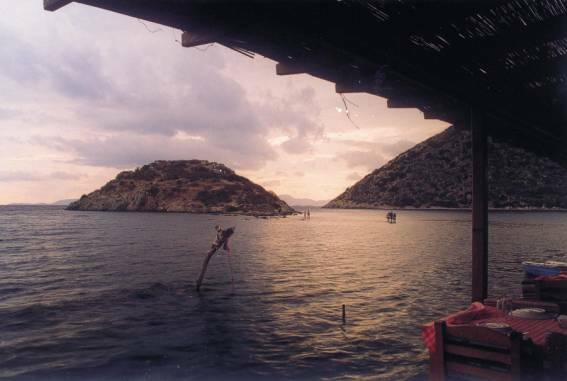 There are wonderful fish restaurants, in Gumusluk and Turkbuku as well as a huge number of restaurants in Bodrum itself. 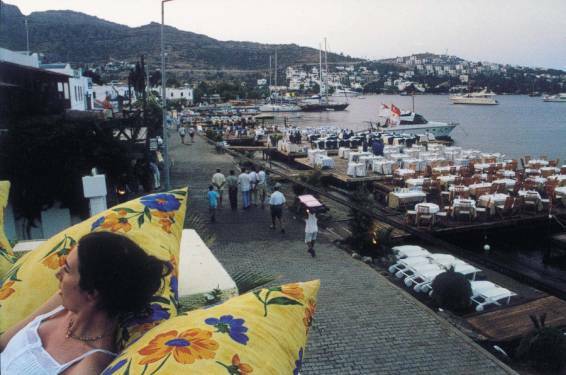 Bodrum town has many attractions including the 11th century castle, and the exclusive chic marina area. For a wild time the nightlife is frenetic with many clubs and music bars to suit all tastes. Shopping is a recognized pastime – carpet and jewellery shops abound. But if it’s fresh food you’re after head for the huge covered market and pick up exotic spices or a kilo of luscious fresh figs. Recommended places: Turkbuku, Gundogan, Yalikavak, Gumusluk, Torba and Bodrum. Turkish baths at the Princess Kharia Hotel Bodrum.